Children can fill in their name as they have done the chore in this free printable chore list for kids. When a predetermined number of chores performed, the child can earn a reward (positive parenting). On this site you'll find other variants of this chore list. 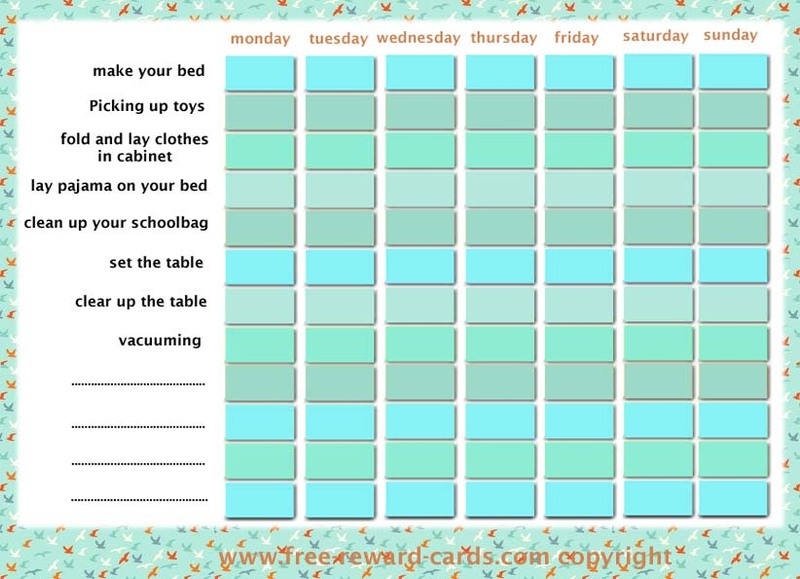 There is also an empty chore list which you can write yourself so the chores are appropiate for the age of your child. This list can be used for chores but also for different kinds of behavior that you would like to teach your child.